It's been awhile since I've posted a recipe! I am always trying new recipes, but I'm usually not prepared enough to take photos of the process or the outcome! Our go-to, most favorite, freezer friendly muffin has always been pumpkin chocolate chip muffins, which I blogged about here. 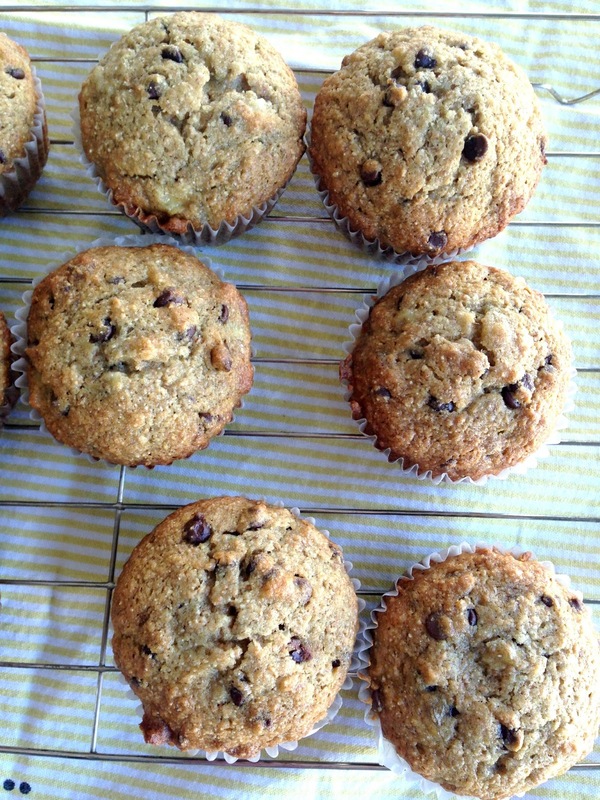 I wanted to switch things up a little and tried this new recipe for banana chocolate chip muffins I found on Pinterest. They are equally as delicious and freezer friendly, perfect for throwing in a lunch or to eat as an after school snack. We eat these for breakfast often (30 seconds in microwave and they are perfect). 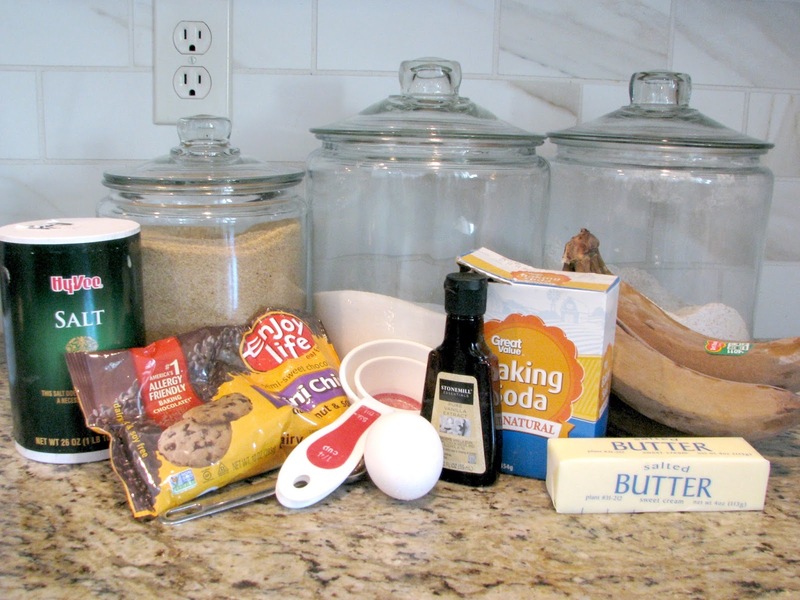 The ingredients include things you probably already have in your pantry. I learned about a tip to freeze overripe bananas to use in smoothies and recipes, and have been doing it ever since. You can thaw the bananas ahead of time or throw them in the microwave for a bit until you can peel away the peel. Smash bananas and mix with butter. Add sugar, egg, vanilla and combine. Then add salt and baking soda. Add flour and mix until combined. Finally add chocolate chips. Pour into muffin cups and bake at 350 degrees for 15-20 minutes. This recipe doesn't make a ton of muffins, about 15-18 depending on how big you make them. 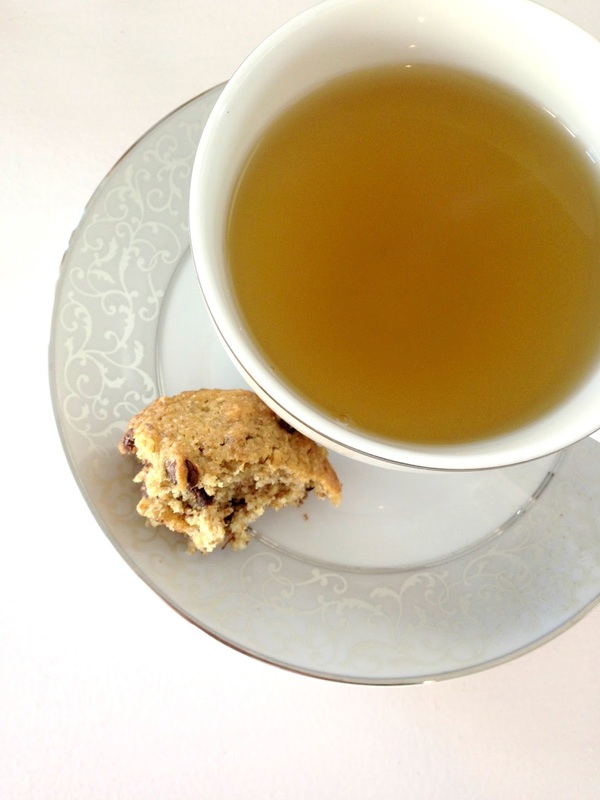 They are perfect any time of day and especially good with my afternoon tea!